Well, you likely won’t be surprised to hear that, throwing all good intentions to the cold, cold wind, I did not do any more cleaning on Sunday. 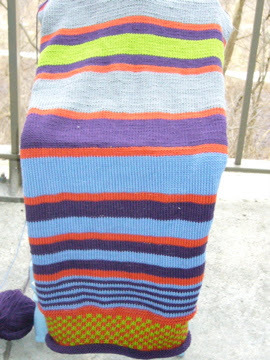 Instead, I spent the day slogging away at my Nina Shawl. I’m glad to report that it is now (finally!) blocking. JJ, however, was less glad when he came in from a long hard day at the Security Guard Spider Solitaire Challenge 2008… ahem, the coal mines… bearing crate upon crate of free food, only to ask what was for dinner. KB: Dinner? Isn’t there something in one of those boxes that would do? JJ: Ah’ve bin eatin’ this stuff all day, hen. JJ: Are ye makin’ fun of the way I speak again? KB: I’d never do that… anyway, I hadn’t thought about it. I’ve been busy. JJ: (gesturing in a deprecatory fashion at the Nina Shawl which by this point extended half way across the living room floor) Ah can see that… so, where’s mah dinner? KB: I suppose that Walkers Salt and Shake crisps wouldn’t do, eh? JJ: And since ye’ve bin here all day doing nothin’, I assume that there will be something better on offer than leftovers… AGAIN. Sigh. He did have a point, though – so off I trotted to the kitchen to put on my Nigella Express hat and come up with something fabulous. Now, I have a zombie-chasing Ogre friend who shall remain nameless who claims that she cannot cook anything without burning it (despite the fact that she has ventured into breadbaking – but I digress…). Well, Holly (oops, did I use your name? Sorry! ), I think that you could well manage this without burning it. And – it’s tasty. And – it disguises leftovers!!! All of this in about the time it takes me to open a can of soup (admittedly only because I keep losing the can opener…)! 1. Get some chicken stock or broth. I actually make my own stock most of the time… aren’t you impressed? 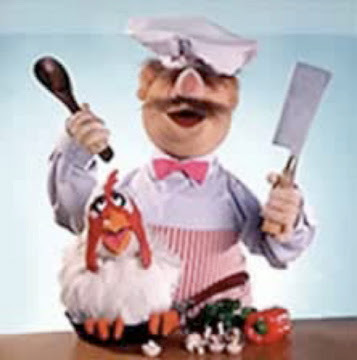 (Don’t be… it’s only a matter of freezing chicken leftovers until I have enough to throw in a big pot and boil the hell out of it all for a few hours). No reason why you couldn’t use the packaged stuff as well. Actually, most of the stock I make, funnily enough given that I am a dedicated carnivore, ends up being vegetarian. Why? Because most of the vegetables that enter the House of Brouhaha never end up getting onto a plate before they start to disintegrate. 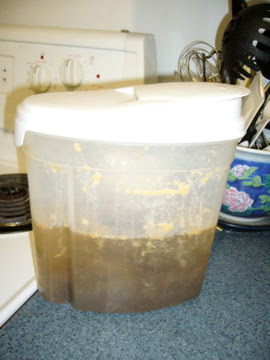 Anyway, probably about a litre (or quart) of stock will do for four or so people plus leftovers. 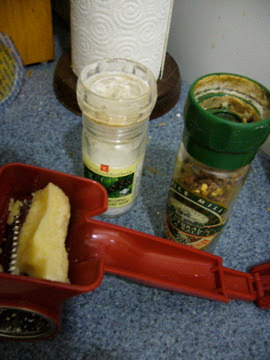 If using packaged stuff, put in whatever spices you want. 2. Extract the trusty cheese tortellini stash from the freezer. A couple of handfuls will do for that amount of broth. 3. Cut up whatever leftover meat you have as long as it goes with chicken broth. 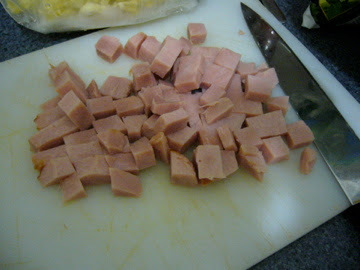 Yesterday’s selection: the remains of one of those prepackaged mini ham roasts. MMMM. I actually prefer ham to chicken in this soup for some reason. A cup of so of diced meat should work. Then simmer all of the above for 5 minutes or so. 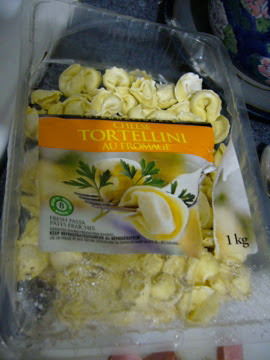 When the tortellini are done they will float to the top. Turn off the heat. 5. I guess you’d better stick in some green stuff as well. I know that not everyone wants to be the only North American with scurvy in the 21st century!! 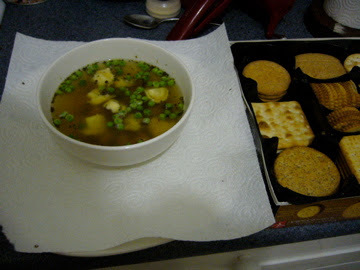 Since I don’t have any veg in the fridge at present, I had to settle for peas (which I like because they are easy to fish out of the soup! 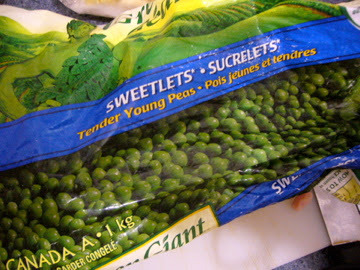 If using frozen veg, just let them sit in the hot broth for a couple or three minutes. I like parmesan cheese grated on top of this. JJ, however, does not. Salt and pepper also go well with everything, I find! 7. 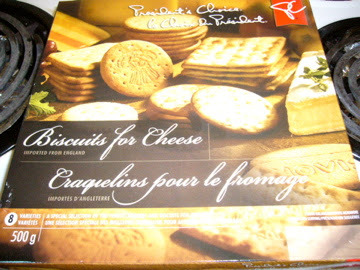 Serve up with some homemade crackers which you have spent all day whipping up. … and don’t believe everything you read. They’re not only for cheese. (the condition of the soy sauce bottle should about tell you just how much I enjoy this particular version!). 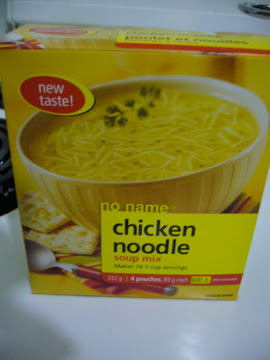 (Have you gathered yet that I really, really like chicken noodle soup? 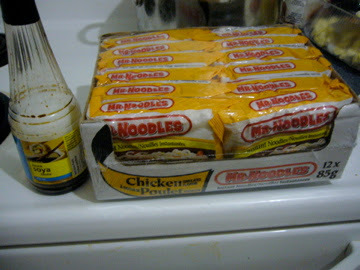 I eat this stuff with lashings of hot sesame chili sauce…). 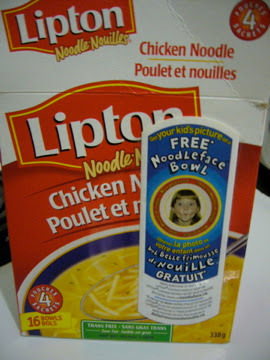 Check out the noodleface bowl, by the way. I’m trying to picture JJs face if I got him one with his photo on it… hmm. Maybe I’ll just leave that one alone! Oh… I almost forgot… bon appetit! Being a good wife is not all that bad.